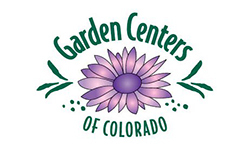 Brown’s Greenhouse is a wholesale greenhouse that supplies high quality annuals, perennials and vegetables to the independent garden center and landscaper market in Colorado. Our 30-year history has been built on the quality of our bedding plants, innovative plant varieties and commitment to exceptional customer service. Originally founded in 1981 by husband and wife team Don and Mickie Brown at our Independence Street location, Brown’s eventually outgrew the small greenhouse space. In 1990, Brown’s moved to its now main location at 7290 Kipling Street in Arvada, Colorado. Brown’s redeveloped the old farmstead with several new greenhouses, including large new greenhouses added in 2013. Today, both the Independence and Kipling locations are used to their full capacities. In 2010, the company was purchased by plant-loving enthusiasts Jeremy Friedman and his partners, Jane and Aaron Brown. Jeremy serves as President and operations manager of the business. He has continued Brown’s reputation of producing a high-quality product, as well as aspired to achieve excellent customer service and satisfaction. He has increased sales and expanded the geographical area and customer base served by Brown’s, and has worked hard to develop niche products and new plant programs based on customer feedback and growing trends. 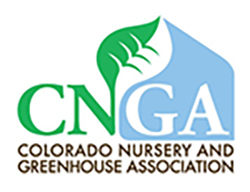 In fact, after only two years, Jeremy was awarded the “Horizon” award by the Colorado Nursery and Greenhouse Association (CNGA) in 2012. This award acknowledges an individual who has been in the industry less than five years and exhibits the qualities and high standards that exemplify the CNGA. As a locally owned Colorado company, Brown’s success rides on our treasured team of outstanding employees and close relationships with our loyal customers. That’s why it’s our passion to deliver beautiful plants all year round, with the selection changing seasonally. Each spring our locations are filled to the brim with beautiful annuals, perennials and vegetables. We offer pansies, petunias and geraniums, as well as shade loving crops including begonias, coleus and lobelia. In summer and fall, we offer a great selection of the later-blooming plants like hibiscus, garden mums and ornamental kale. Then for the holiday season, we are a premier poinsettia grower for the region and also offer Christmas cactus and paperwhites. To learn more about our greenhouse, feel free to schedule a visit with us at: info@brownsgreenhouse.com. We are extremely proud of our plants and always enjoy sharing our experience and knowledge with others.